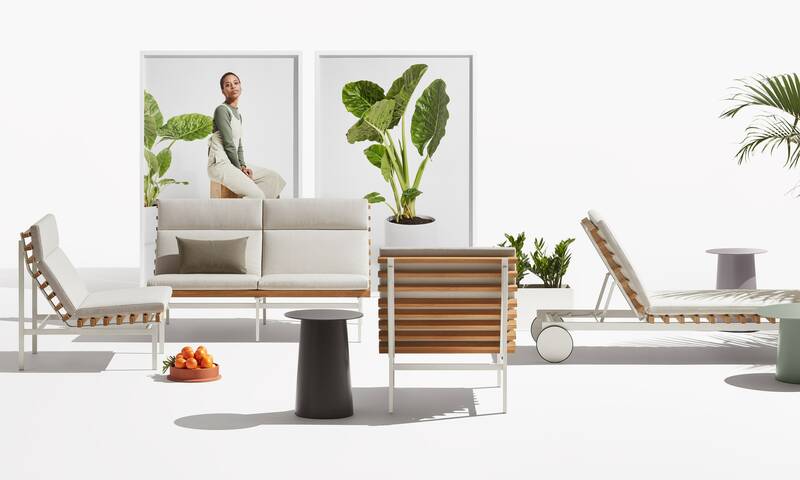 Inspired by the marine world of docks, decking and boat details, our designers brought the warmth of wood into our outdoor assortment through the Perch Collection. 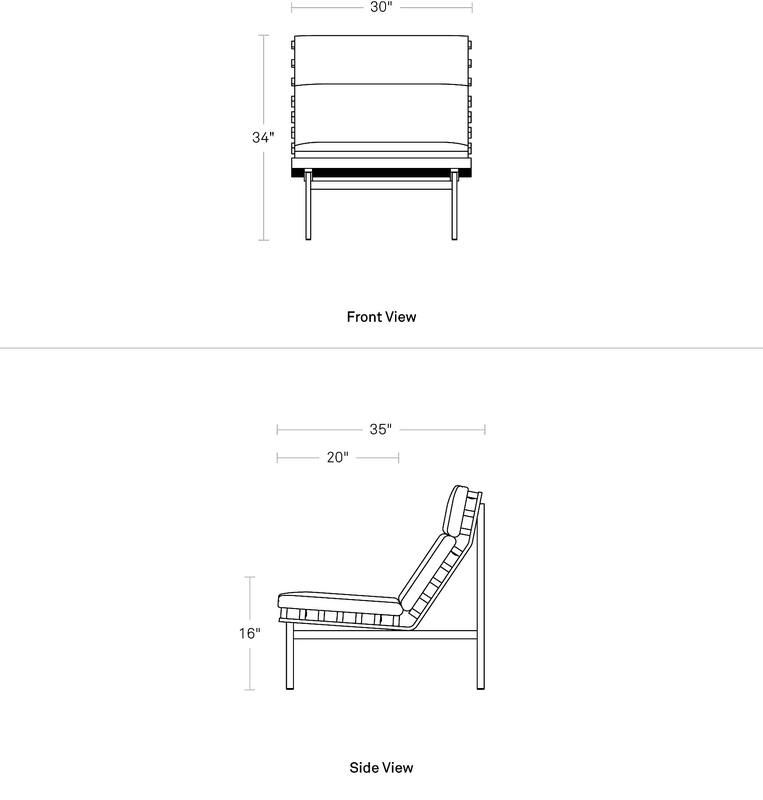 The unique construction is a layering of a rigid aluminum base, teak wood slats and a slim Sunbrella upholstered cushion. Despite the use of three materials, a light and airy appearance is achieved through careful use of each material's strengths. With striking silhouettes and a just-right recline, Perch is the perfect blend of beauty, utility and comfort.